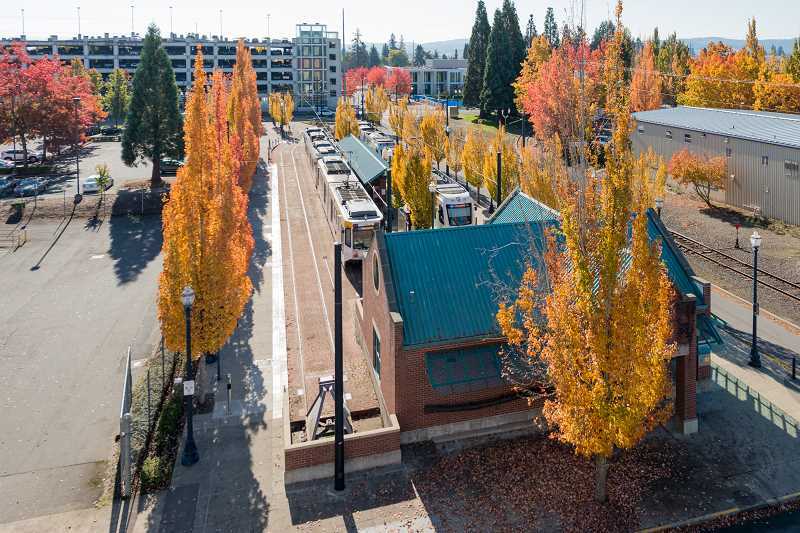 Work will continue through November to improve four Hillsboro stops, including downtown. TriMet crews are planning to upgrade several Hillsboro-area MAX light rail stops over the next few months. Starting Monday, Sept. 17, the transit agency is planning a series of projects at Hillsboro's MAX stops, completing a range of improvements, from replacing sections of trail to improving the track bed. Crews plan to install new switch machines, upgrade equipment at signals, replace surface tiles at four stations and repair roads near rail lines at three Hillsboro crossings. TriMet spokesman Tim Becker said the work is expected to make for smoother rides. Construction will continue through November. Becker said the work is "one of the most complicated projects we've done yet" as part of Trimet's ongoing program to replace and update sections of track. Starting Sept, 17, the eastbound lane of Washington Street in downtown Hillsboro will close between Southwest Adams and First Avenue as crews begin work. The lane will re-open in October, when crews plan to close the westbound lane. Work will generally take place between 7 a.m. and 10 p.m. and may continue overnight, Becker said. Most riders shouldn't experience any delays during much of the upgrade process, Becker said. Two weeks of the construction are expected to impact riders — between Oct. 13 and Oct. 27. During that time, MAX Blue Line will be disrupted. The Fair Complex/Hillsboro Airport MAX Station will temporarily be the end of the line for MAX trains, and shuttle buses will serve temporary stops to Hatfield Government Center Station, Hillsboro Central/SE 3rd Transit Center, Tuality Hospital/SE 8th Ave Station and Washington/SE 12th Ave Station. Riders who use the MAX Blue Line in Downtown Hillsboro should plan a little extra time for their trips during the week period.